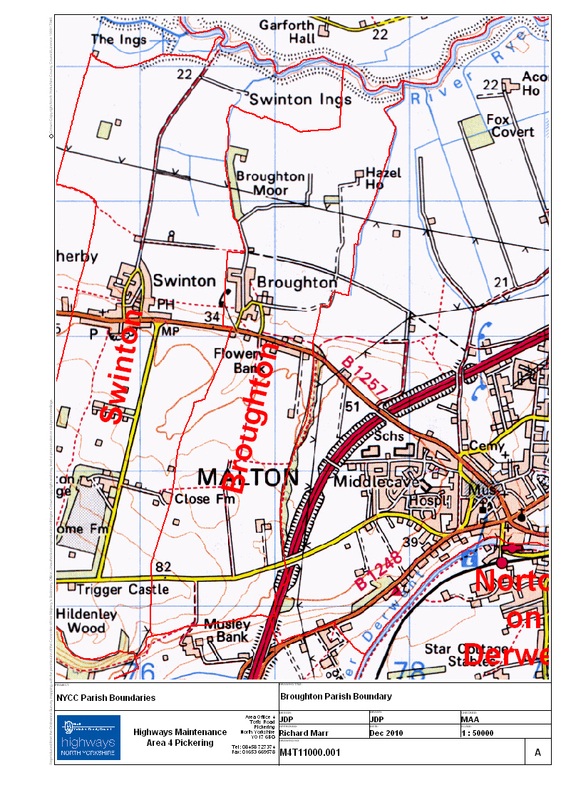 This is the parish boundary for Broughton. 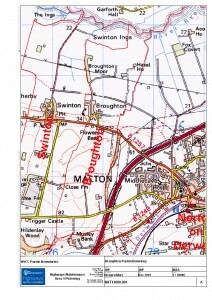 The parish is outlined in red and shows that it extends from the River Rye in the north to Musley Bank to the south. The racing stables are just beyond the boundary but the majority of the gallops lie within Broughton Parish. Will have to save this and come back in later to do more editing and adding more photos.